The West Virginia Mountaineers had a chance to do something no one had done against a Bill Self-coached team since the 1999-2000 season (when he was with Tulsa). For the first time in nearly two decades, a Self-coached team was in danger of being swept. West Virginia dominated the game when they played earlier this season. They dominated most of Monday night’s game as well. That is, until they didn’t. Kansas hadn’t looked the greatest the last few times they took the court. 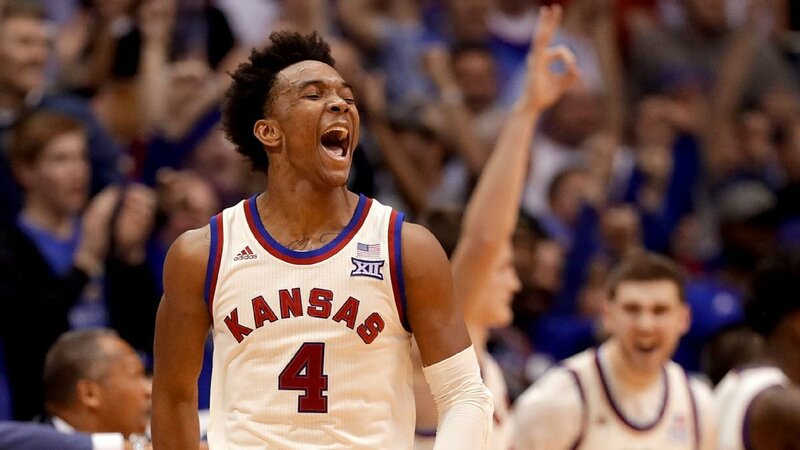 There was the loss to Iowa State, the first loss the Jayhawks have suffered at home in years, followed by a couple of very close wins against teams they should have had little to no trouble beating. Heading into Monday night’s game against a West Virginia team that beat them pretty easily earlier this season (85-69), they had to know they needed to play better. The team that beat Texas Tech by one and Kansas State by three wouldn’t beat the Mountaineers, but the one that took down Baylor (by five) and Kentucky (by six) certainly could. But for most of the game, it didn’t look like it was going to happen. West Virginia started the game with a 10-0 run before Sviatoslav Mykhailiuk finally got Kansas on the board with a free throw. The Mountaineers led by double digits early on but lost the lead. They did, however, get it back and went into the break up by seven, 39-32. It didn’t look much better throughout the second half as West Virginia maintained a lead and even stretched out to 14 points after a Tarik Phillip layup with 3:00 to play. It would take something special for the team to avoid being swept by a conference appointment for the first time during Bill Self’s tenure. Something special they needed and something special they got. West Virginia became turnover prone at the worst possible time. 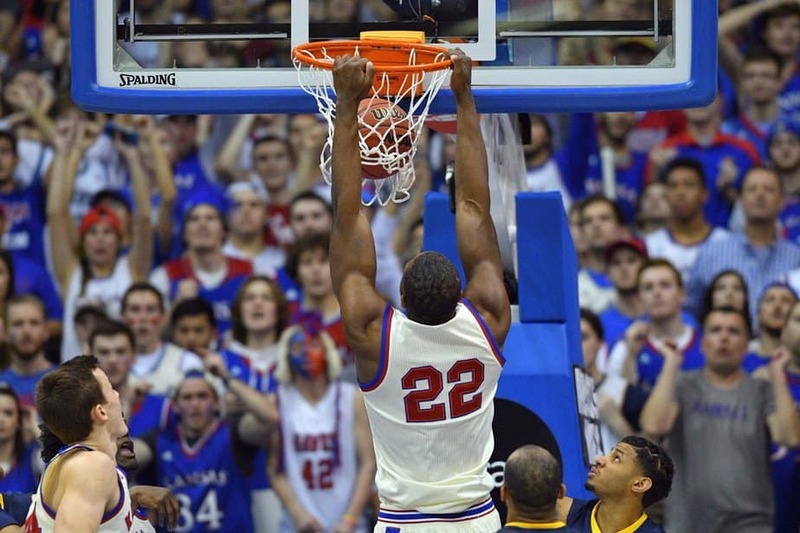 Fueled by a few WVU turnovers, Kansas got within striking distance, 66-60, after a 10-0 run. With just 21 seconds on the clock, Frank Mason hit a pair of free throws to cap off a 21-7 run and tie the game up at 71-71. Tarik Phillip got a shot at a game-winner in the final seconds of the game but missed sending the game to overtime. Kansas continued to roll with the momentum in overtime and got out to an eight-point lead before winning 84-80. Neither Frank Mason (3-13) or Josh Jackson (4-13) were having much luck with their shots to start the game and never really got on track. The win, coupled with Baylor’s loss to Texas Tech, practically locks up at least a piece of the Big 12 title for the 13th-consecutive season. They have a two-game lead on Baylor—who they face next on Saturday–with five games left in the regular season. West Virginia will hope to get back on track Saturday afternoon when they take on Texas Tech.